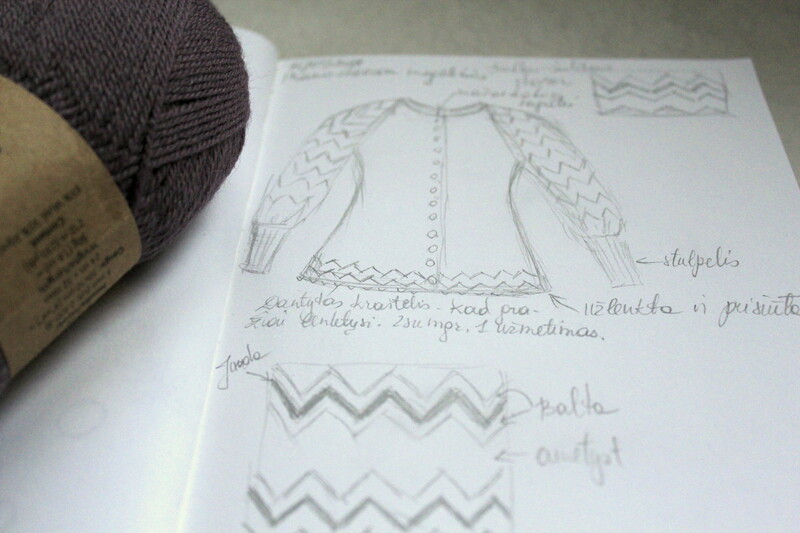 This January I decided to take a little brake from knitting pattern making and writing. Not to stop knitting or crocheting, no. I decided to make a cardigan with lovely Drops Flora yarn, which is 65% Wool and 35% Alpaca. It has lovely wooly feeling. Only it is quite fine yarn – manufacturer says 24 stitches x 32 rows to make 10x10cm square with 3mm needles. 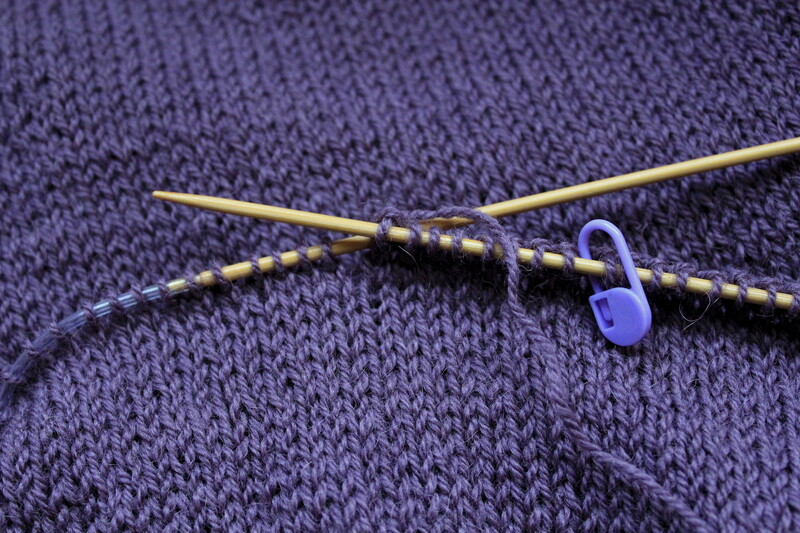 My gauge is a little bit different – 20 stitches x 28 rows to make 10x10cm square with 2.5mm needles. It will be a lot of knitting, but cardigan should be fine, not too bulky under the winter jacket. It still should be warm because of the wool. 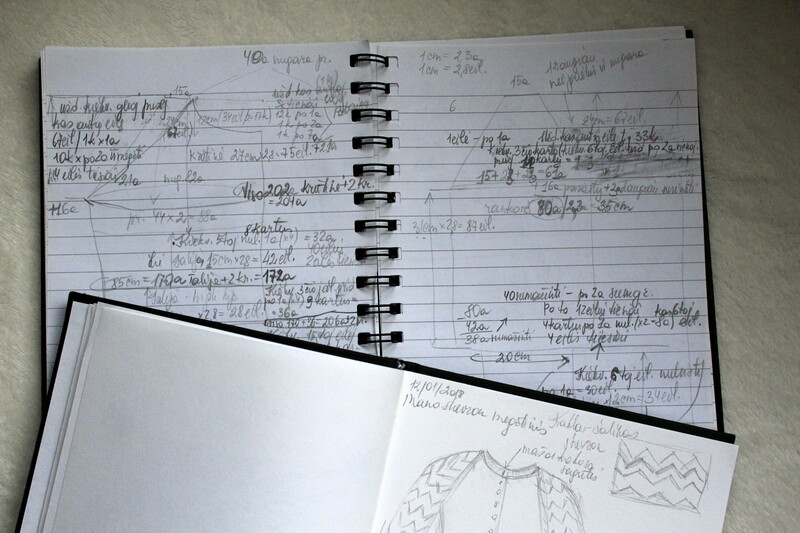 A little bit of sketching, a little bit of calculations and here we go! 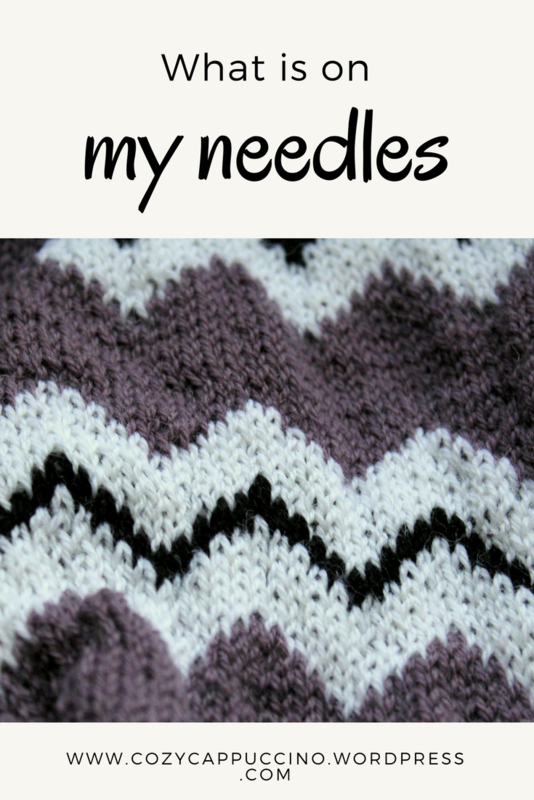 Plain Amethyst colour body and chevron pattern sleeves (Amethyst, White and Black). Not sure will be making the whole sleeve with pattern, but will decide later as I knit. I started knitting all parts in one piece – fronts, sleeves, back. I really like this about top down raglan sweaters – knit everything at once and do not worry about sewing and matching everything at the end. But in this case, when the sleeves are with pattern, body is plain colour, it is getting too much complicated. It would mean I must have separate yarn balls for the fronts, each sleeve (2 colours at the same time) and back. With all increases and colourwork it is a little bit too much. I decided to unravel everything and knit back and fronts separately, join them at the armpit line and continue in one piece (yes, the same 206 stitches before decrease for the waist). And the sleeves I am knitting separately, will sew them in afterwards. From the armpit I am knitting the sleeve in one peace as well. Half of the sleeve is done! I decided to have pattern only at the top of sleeve, the rest of it will be plain colour. Not much left to knit – finish this sleeve, knit the other one, sew everything together, knit the borders, sew in the buttons. 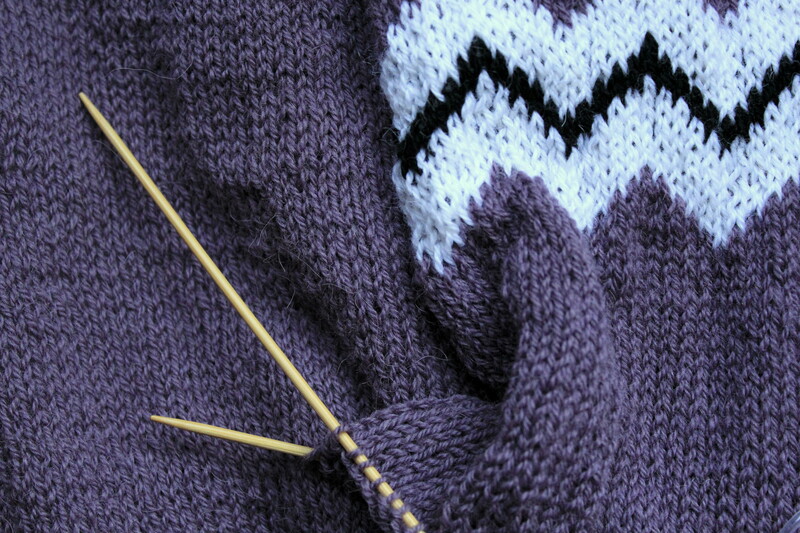 It seems a bit late to knit the winter cardigan, as the spring is coming already. But I hope to make it soon to be able to wear it this season. It seems I am always a bit late when it comes to knitting to myself 🙂 How nice it would be to knit the summer cardigan in winter and vice versa?